With global commodity prices rising again and expected to remain high, given the revival of global growth, it is entirely understandable that Indian firms have been aggressively scouting around for acquiring equity in commodities and fossil fuels, ranging from high-grade coal, iron ore, oil and gas to several non-ferrous metals like copper and nickel. The list of companies seeking to secure a share of the global resources pie includes downstream users like the steel and power industry as well as public sector companies such as NMDC and Coal India, which are essentially raw material producers. This "search and capture" strategy spans diverse geographies. For example, JSW Energy through the acquisition of CIC, a Canadian company, has secured access to 2.6 billion tonnes of high-grade thermal coal in Botswana. Similar acquisitions for coal by Reliance, Tata Power, GMR Energy in Indonesia, Mozambique, Australia are designed to secure fuel linkages to drive the companies' forthcoming power generation plans. Tata Corus has acquired mining rights to high-grade iron ore in Canada to support its European operations. ONGC, through its acquisition arm ONGC Videsh Limited, has a share in oilfields in diverse locations such as Sudan, Nigeria and Russia. The motivations for this resource-seeking drive are equally varied. Take coal. While India has the third-highest coal deposits in the world, the quality leaves a lot to be desired, due to high ash content and low calorific value. 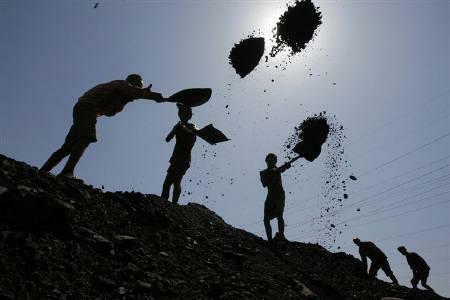 Firms like NTPC and Tata Power, which have significant captive reserves domestically, are looking to fuel some of their forthcoming projects with superior imported coal. Other firms in the power and steel space, such as the JSW and Adani with no significant captive resources, have no option but to rely on imported raw materials. Unreliable supply from domestic producers and infrastructural bottlenecks that sharply increase transaction costs have also contributed to India Inc's increased interest in acquiring global resources. These global transactions by India Inc have obvious benefits for the resource-owning firms and governments, both in terms of large-scale infusion of cash and/or the resource rents. Developing infrastructure in the form of roads and ports primarily to transfer the mined output from the source to India creates permanent assets in the host countries, besides generating considerable local employment. Countries like Indonesia have upped the ante, by insisting that international firms set up downstream industry as a partial offset for resource sale. This in itself is not bad, but companies, especially in the power space, which planned on investing in India to leverage the capacity expansion already under way, would have to divert some of that investment to the host country. This largely market-driven expansion strategy that is predicated upon an increasing level of global engagement is not, all things considered, exceptionally risky, given the clear advantage for both the buyer and the seller. Unforeseen events, both political and geo-climatic, could radically derail the copybook scenario. For example, the recent cyclone in Queensland has sharply reduced the production of coking coal. As a result, prices of coking coal have shot up almost 20 per cent over the past month, while steel prices have increased by almost 14 per cent during the period. While prices of coking coal are expected to stabilise within a quarter, the fallout from a more cataclysmic event like a conflagration in the Middle East would have deeper and longer ramifications. India Inc needs to clearly plan for such contingencies.